Uber's pie-in-the-sky dream for airborne ridesharing seems to be getting more concrete with deadlines, partners and locations announced at Web Summit. The taxi-hailing service has been talking about "ridesharing in the sky" since 2014 but their plans are more concrete than ever. "Blade Runner predicted that we would all be riding in flying cars in 2019. Close. 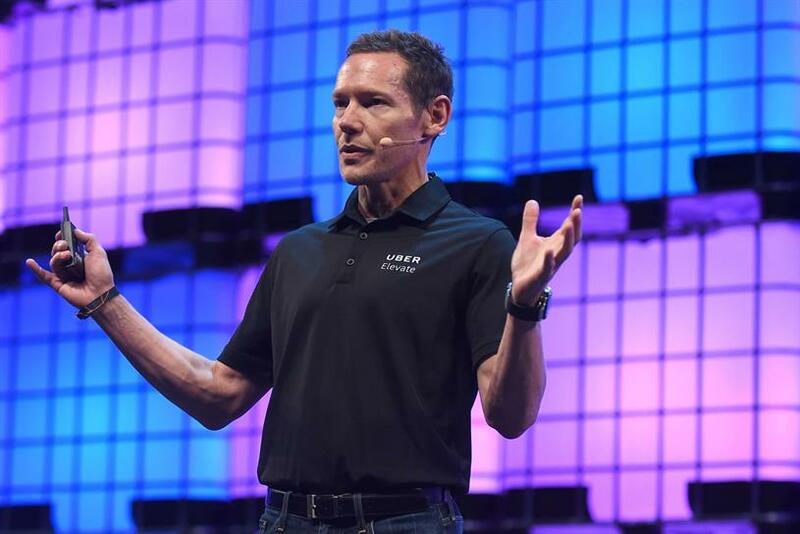 Uberair will launch in Los Angeles in 2020," Jeff Holden, chief product officer, Uber said during his talk at the conference in Lisbon today. The company will be testing its new service over the next two years and predicts "heavy use" by the 2028 Olympics, which are being held in LA. To achieve this, Uber will have to turn its proposed electronic giant-drone-chopper into reality and negotiate air rights to operate in the city. For the latter, Uber has signed Nasa Space Act on as a partner to help work out airspace management. Its other partners include property developers and vehicle manufacturers. Its programme, called Elevate, has also signed on other partners ranging from estate developers to vehicle manufacturers. For its LA plans, it has signed on Sandstone Properties as a partner. So why is Uber doing this? "Just as skyscrapers were a solution to urban density, we believe that the sky is a solution to urban transport density," Hodlen said.